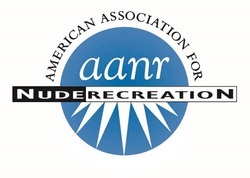 "AANR is asking all of its members and associates and partner groups to support and sign the petition. We absolutely support what you are trying to do. It's our driving force." "Serving Members and Clubs Through Advocacy and Education." "We need your help! Act now to designate portions of United States public lands for clothing-optional recreational use!! Read more and sign the Clothing Optional Access Petition here!" "Dedicated to promoting positive naturist values." Partner with us on this important issue. If your organization or business supports the designation of more clothing optional recreational areas on public lands we would love to hear from you. Just click on the email icon on any page of the site to reach us. We are not looking for financial support, just organizations whether nudist/naturist related or not, willing to help us spread the word and to encourage their associates, customers, vendors, etc. to sign the petition at "We the People." In return we are happy to feature your business or organization on this page completely free of charge or obligation.